1. 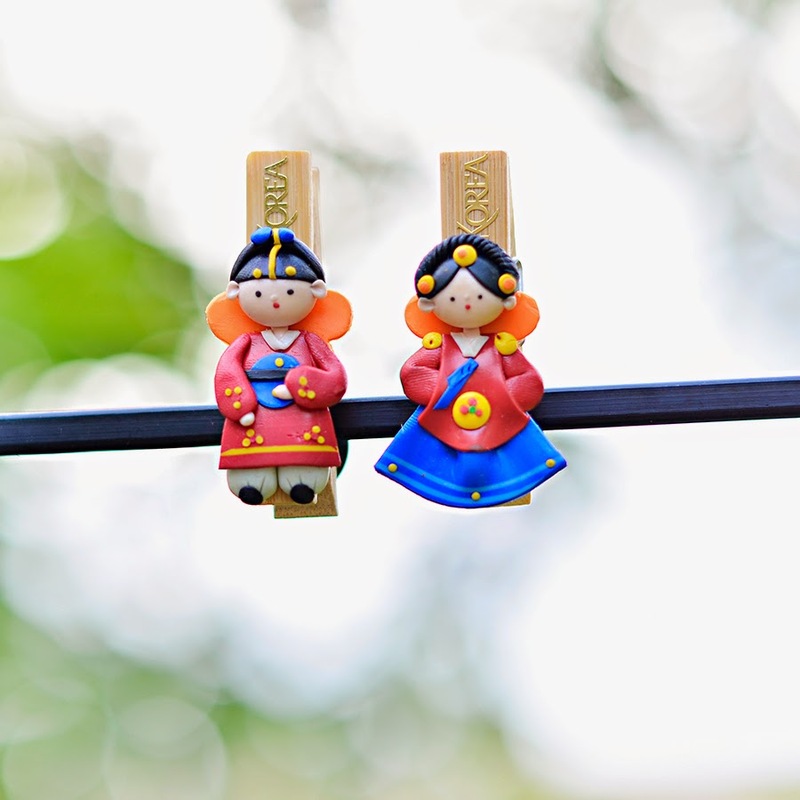 The cutie couple wooden paper clips I got from my autumn trip in South Korea circa 2014. 2. 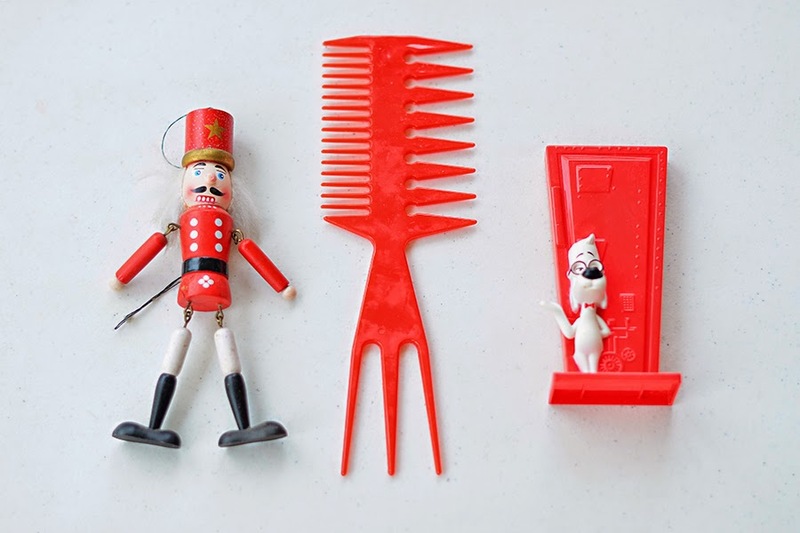 The Christmas tree nutcracker hanging decor which I pleaded from BB to send it over to me from the US, a triple-treat comb which I like a lot for its function, and some kiddie/happy meal toy I got from a fast food chain which I cannot remember which one. 3. 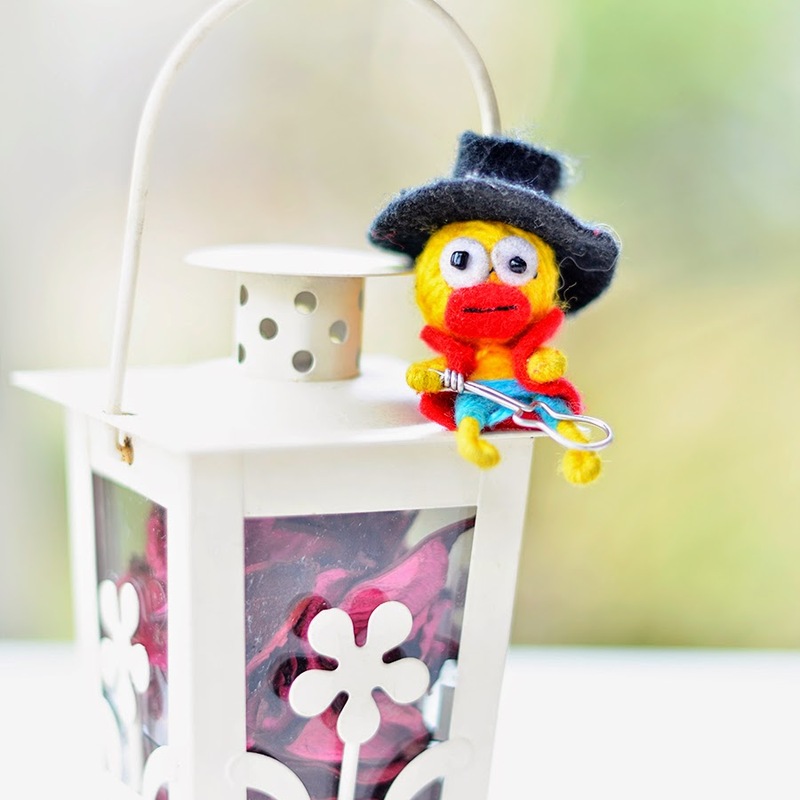 This rockstar guitarist made of yarn is a remnant of a once keychain. I got this from my Vietnam trip in 2012. I bought this because it reminded me a lot of BB who loves and plays a guitar. 4. Another cutie keychain I picked up from South Korea 2014 trip and a bunny-head massager which I grabbed from my sister's pile of whatever. I'm not one to declare that red is my favorite color; however, I notice lately that my room and my stuff always have a pop of red. My old and current car is in red paint, my tumblers are in red, I have bought a Mango sheath dress in bloody red out of whim. I have asked for a red shoes from BB years ago when I was in the US, I have only worn it once in PH because heads turn and I have felt awkward at that time. Not a lot likes red, not many can carry red, but as for me I love seeing stuff in red. Well, admittedly except blood. I'm still open to other colors so I don't really think red is my favorite color. One thing for sure, seeing pops of red make me happy.